I would have been here sooner, but we caught a nasty cold/flu over Easter weekend. I called the pharmacy one day to have some prescriptions filled & I could tell it was a busy, stressful day for all there. First, my call was answered after ringing off the hook--- I was near hanging up. The poor girl that answered the phone sounded a little exasperated & aggravated at my call, but she took my order & by the time I had given her all my information, she was changed! She could tell I was sick & her attitude toward my call was totally different. I had to giggle. I did sound that bad! 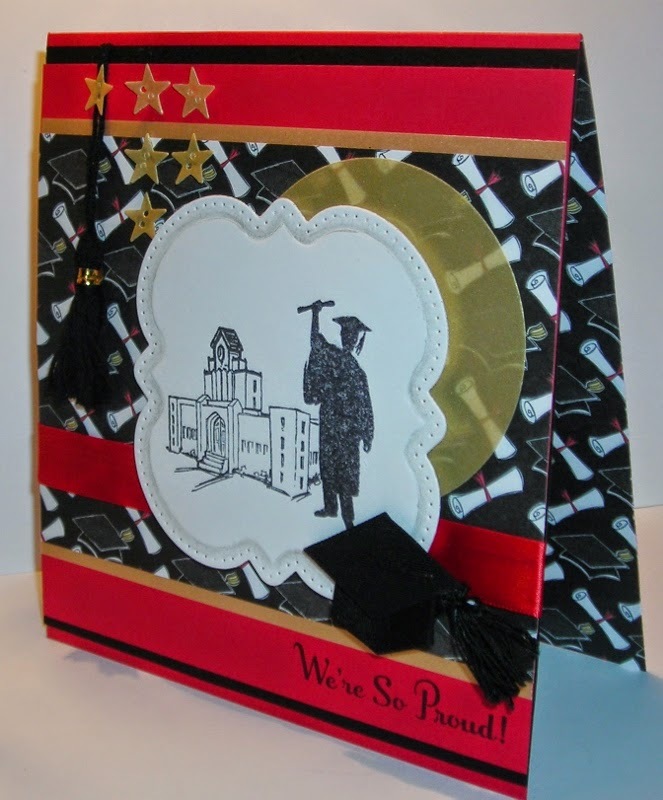 I have a Graduation Card to show you today. Our son is Graduating from College soon & we are all so proud of him! If you've been following me for awhile, you know the struggles we've gone through with the Public Education System & the struggles of dealing with bullies. College was a time for our son to flourish & shine. His major was in Mathematics & a minor in Physics. he worked with under privileged children & wants to continue this. which is a National Mathematics Honor Society for Students of Mathematics. The requirements are a completion of three college mathematics courses, a ranking in the upper 35% of your class, & completion of three semesters of college courses. Our son will be doing his Graduate Studies this fall going for his MBA. I am a very proud ma-ma! This card measures- 5 1/2" x 6"
I used the sketch from Craft Hoarders Anonymous Challenge Blog. The Challenge is #6- A Sketch With A Twist. Use one item that was old-- That would be my Red card stock. I buy the good stuff & then hang onto it for special occasions. LOL And to add one new item--that would be the Paper Studio Designer Paper. Picked up specifically for this card. And how did I combine them? They work well together, don't you think? One always has to have good card stock & nice designer paper. Of course, I used a Flourishes set- Hats Off To You. A wonderful set by Lauren Pope. I purchased this set about a year ago when our daughter graduated from High School. 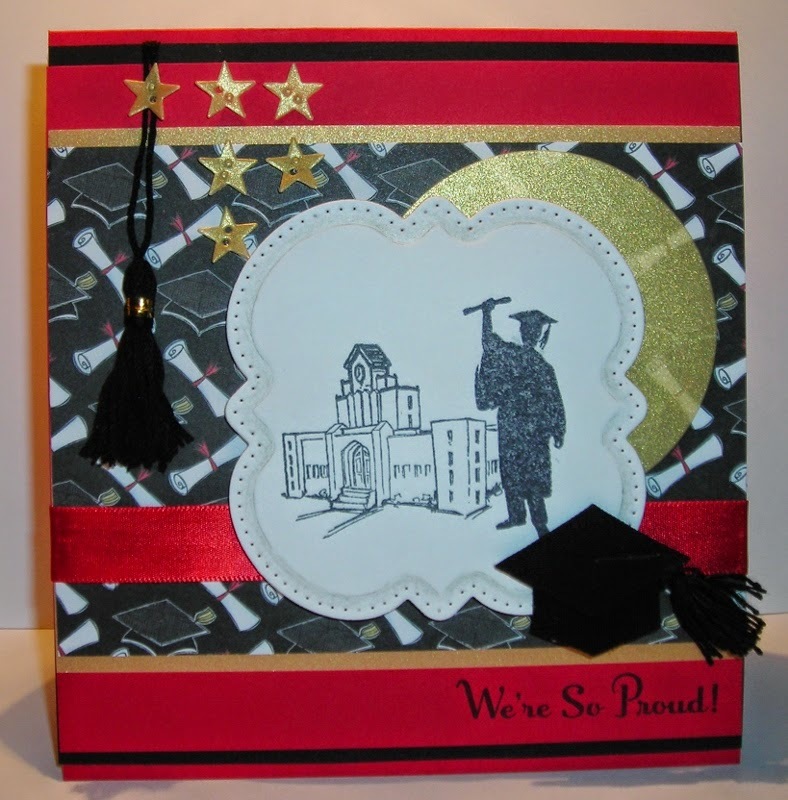 I was looking for "The Perfect Graduation Stamp Set." There are other images in this set that are wonderful too, even a computer! 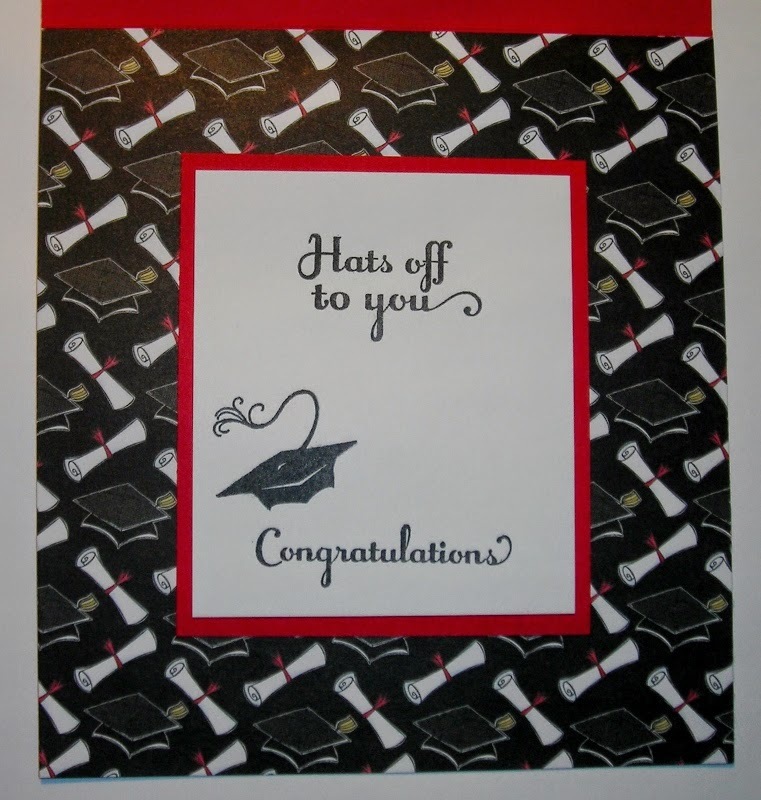 Give Flourishes a call if you are looking for the perfect Graduation Stamp Set! I'm sure they'll take your order. Let me know? I'd love to hear. All comments are very much appreciated. Do NOT contact me in any way in the future! Easter is the time for fresh beginnings. Christ dying for our sins that we might be made new in Him! "Therefore if any man be in Christ, he is a new creature: old things are passed away behold all things are become new." 2 Corinthians 5:17. 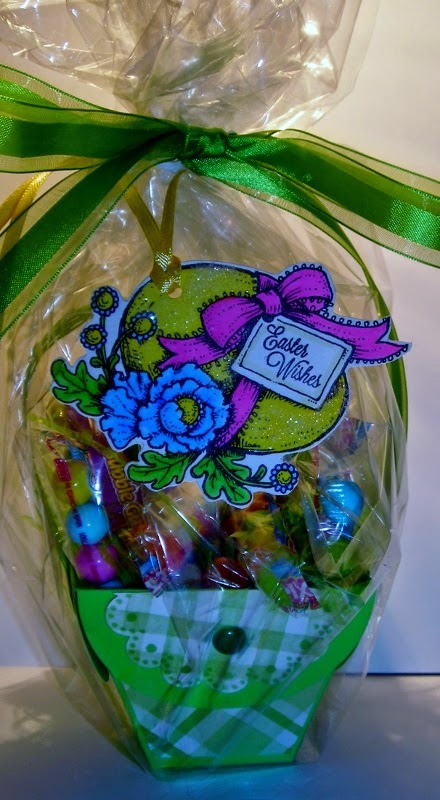 I made some little Easter Baskets with special tags & a sweet treat! & this is the set I used to make my tags. This set just has a nice Vintage feel to it which I love! 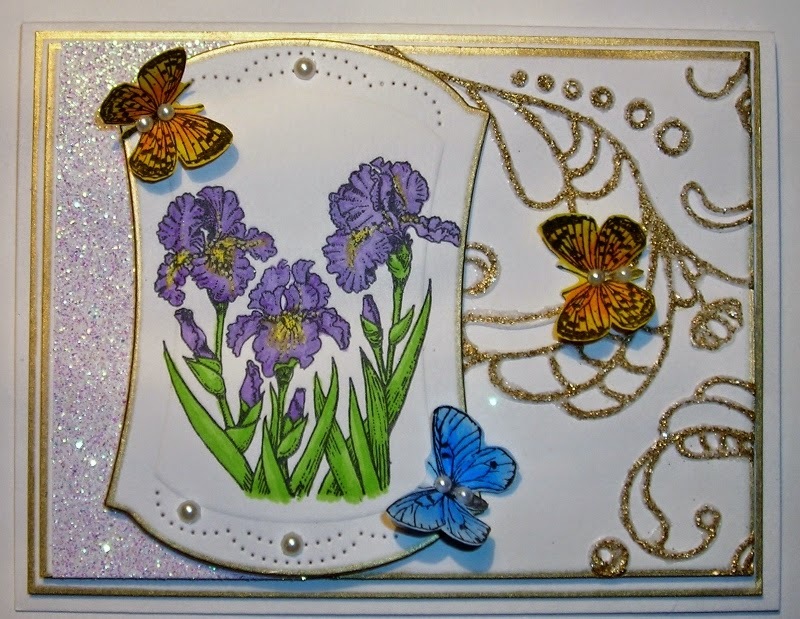 If you haven't gotten this set, just give Flourishes a call to see if they have it in stock! 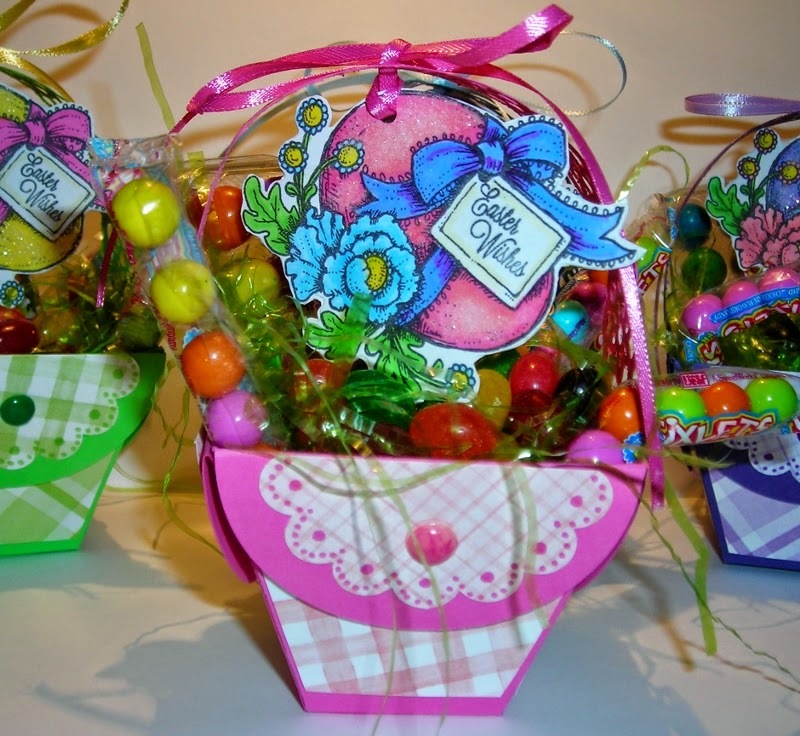 The little baskets were made with SU-Petal Cone Die & you're just getting a peek at the tags here. (SU- has the SU Petal Cone Die in the clearance area. Personally, I don't like to spend top dollar for these dies. Here's a better look at the little basket & one of the tags. 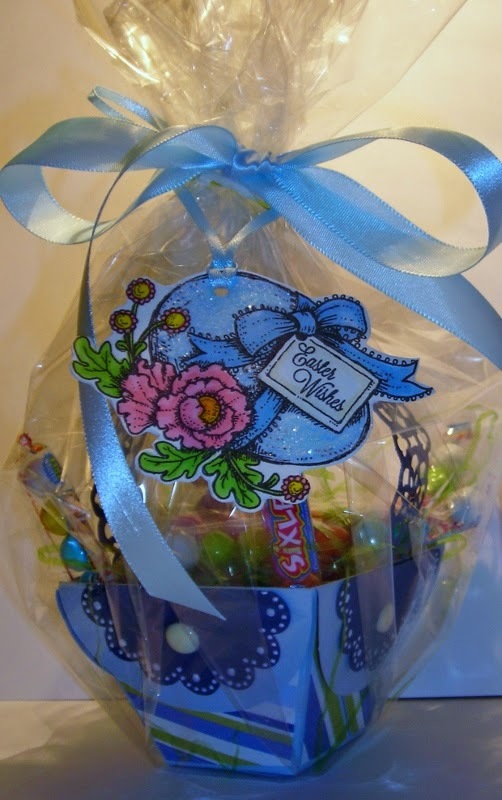 I actually changed where I put the tag, as I decided to add it to the outside of the cellophane wrap. I love all the bright Spring colors! Here is the Blue tag. This one is for our son, in one of his favorite colors. This one is for our daughter in her favorite color. The yellow tag on the green basket for one of our daughters friends. 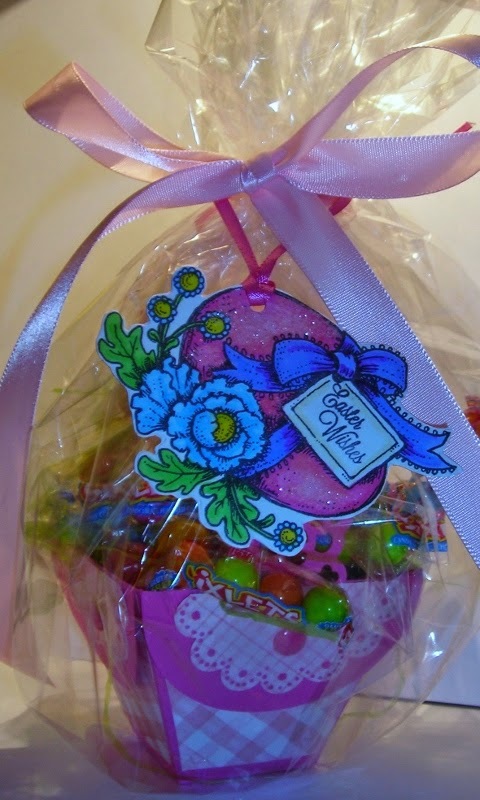 The purple basket for another of our daughters friends. 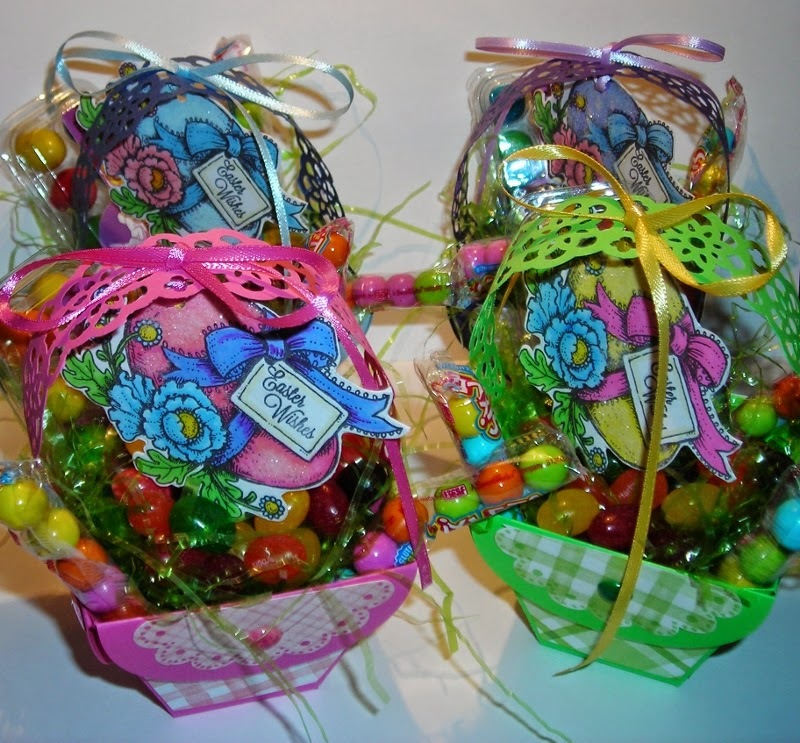 I just think that Easter Egg image is perfect for these little baskets. This set has several images & several sentiments that go with it. It is a wonderful Easter Set. Now, that Easter Egg image also conjured up some memories for me. 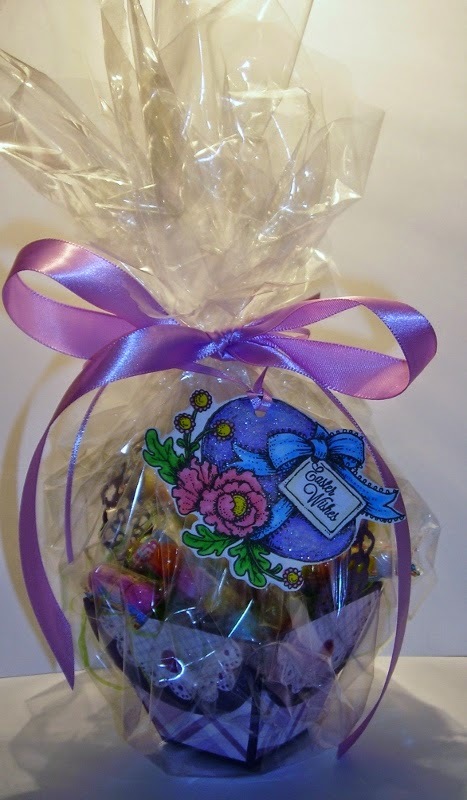 My mother would make us wonderful homemade Chocolate Easter Eggs when I was younger & I have made these goodies for our children too! This recipe comes from the Columbus Dispatch in April 7, 1966, by Daisie C. Wilson. Seriously, I could NEVER get enough of these scrumptious chocolaty treats! Oh My, they melt in your mouth! Here's the recipe so you can make them for your family. Believe me, they'll fast become a family favorite & tradition! Melt butter. Add Pudding & mix, blending well. Add Milk & bring to a boil, stirring constantly. Allow to boil 2 min's. or until mixture thickens. Remove from heat & add Confectioners Sugar all at once; add Vanilla & Nuts. Stir until smooth. Using a large Tablespoon, mold the stiff mixture into egg shapes on a parchment paper lined baking sheet. Chill for 30 min's. 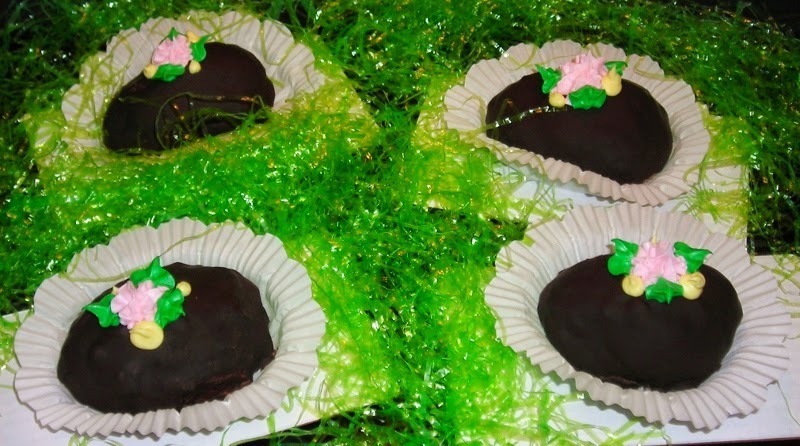 Dip molded eggs into melted Unsweetened Chocolate & return to the parchment paper & refrigerate until dry. 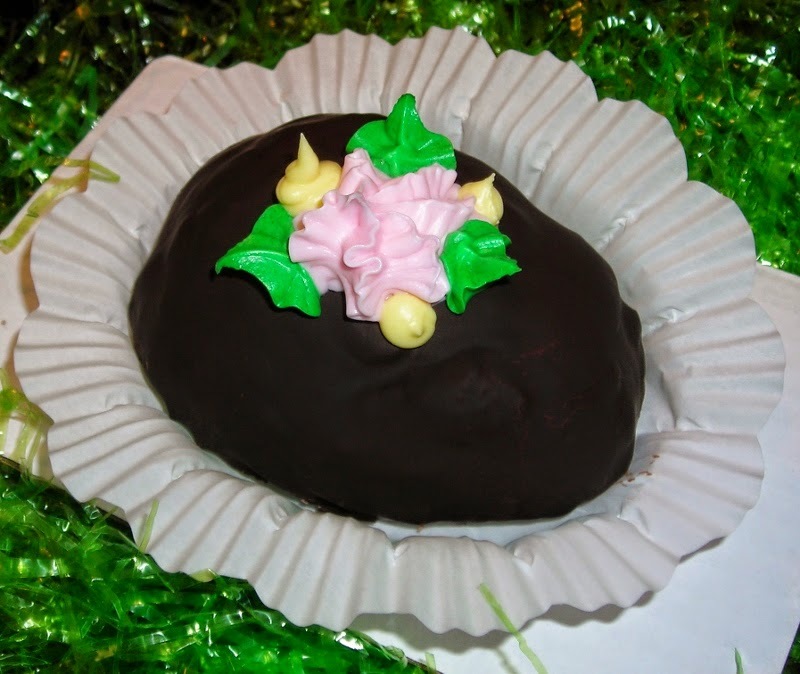 This Icing is yummy on these Chocolaty eggs & even has the tips for decorating! I also used these items for packaging them up to deliver them! 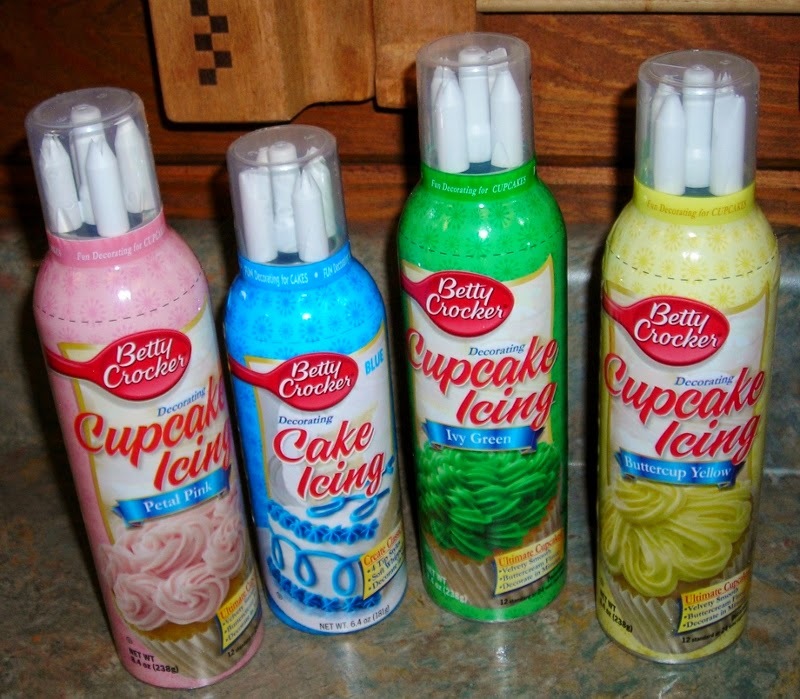 This is the first time I've used these Baking Cups. I've admired them for awhile, but I discovered they are a little stiff & they need to be pressed out a little to hold the eggs. 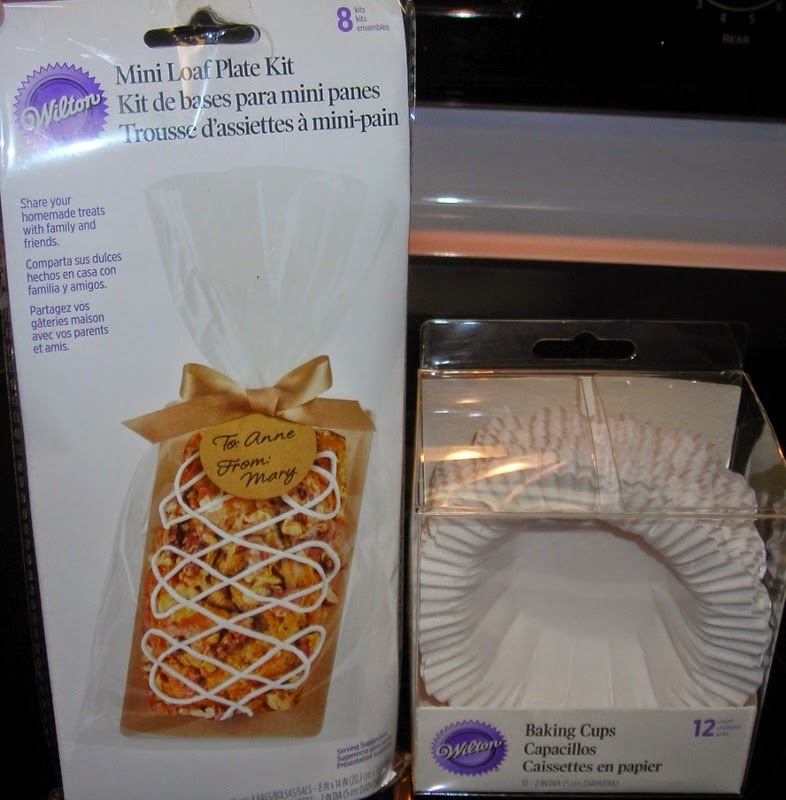 The Mini Loaf Kit offers cardboard to place the eggs on. In the college dorm room it gives a surface to slice the eggs on & of course a bag to slide it into. Then, the student can keep them in their refrigerators for freshness & keep the buggies out! or any other flavor of Pudding that needs to be cooked. Hope you enjoy your Easter with your families & remember what this season is all about. Not only the death of Christ our Lord, but HIS RESURRECTION! 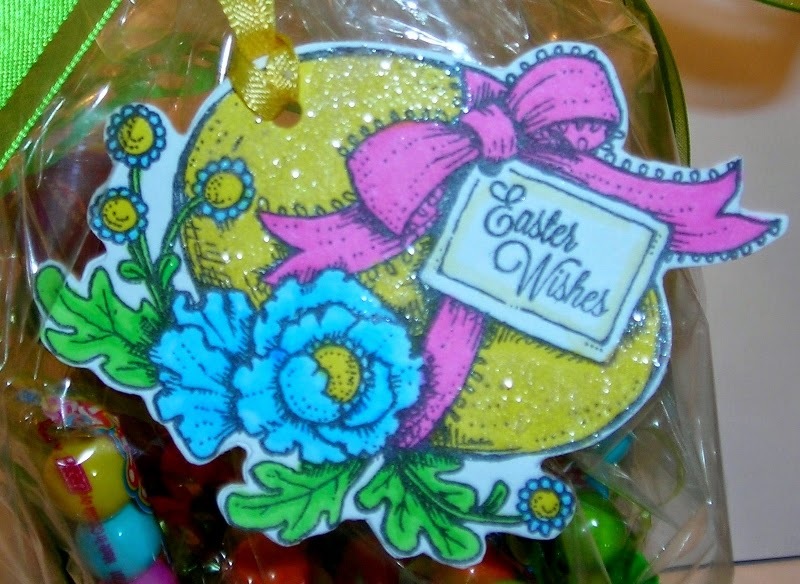 If you have any questions about the supplies used or how I made the Easter Basket just leave me a comment & I'll be happy to answer your questions! 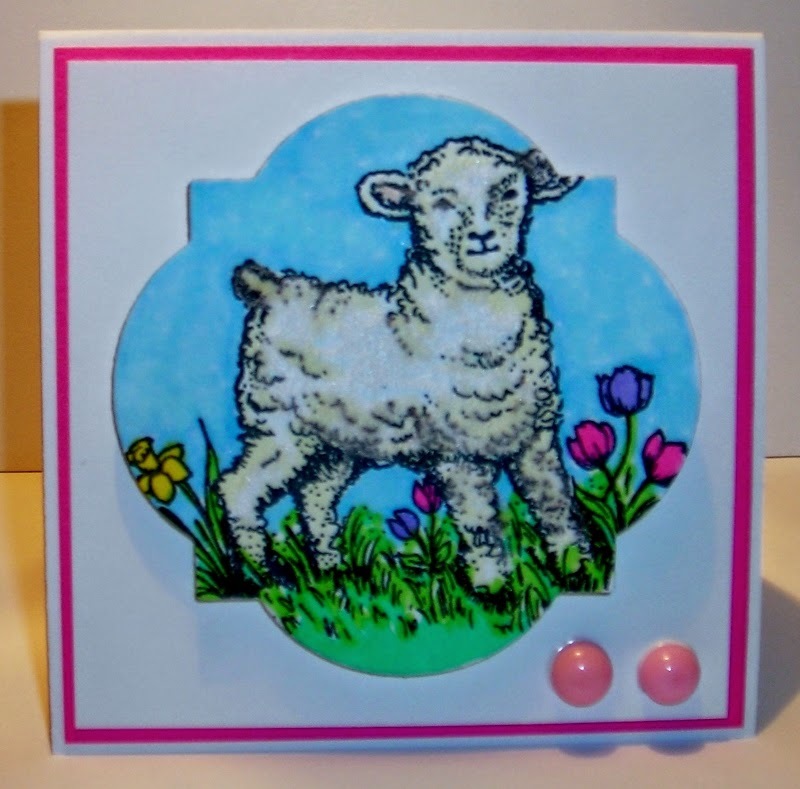 Little Easter Lambs & Winners Announced! I haven't even found time to sit out on the porch as I'd hoped! My little fingers have been busy today & sticky sweet! (Something yummy to show you later this week! 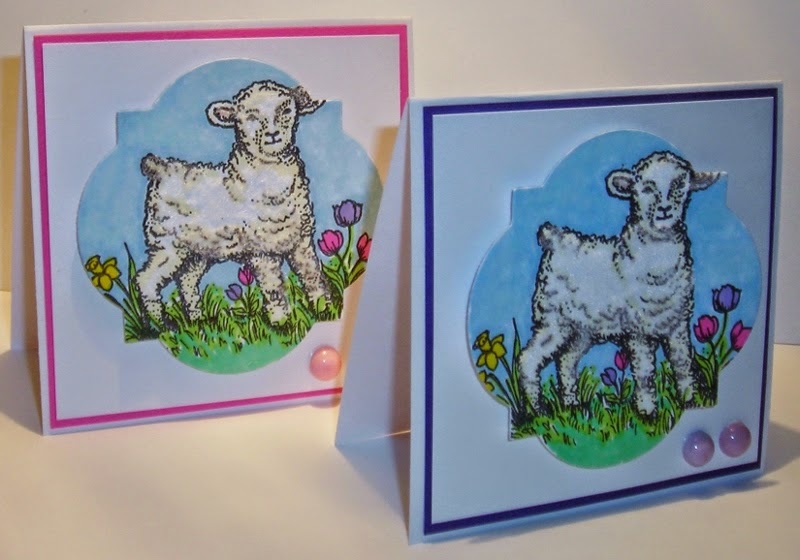 Here are some Little Easter Lambs to get you started if you haven't been working on your Easter cards yet. Just a little something to send our kids this week even though, they will be coming home for Easter. These cards are only 3"x 3" so they're easy enough. 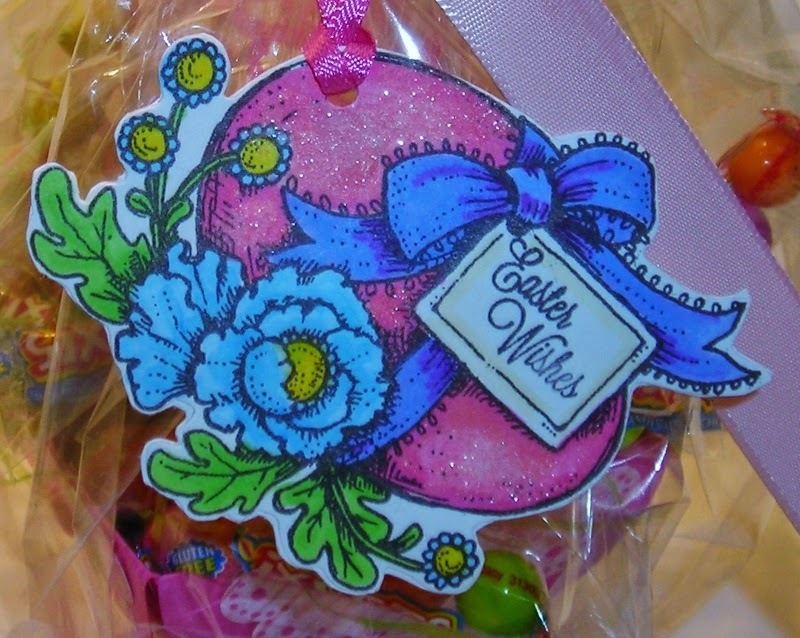 Colored with Prisma Color Markers, & I used SU- Framelits Window Frame Collection for the die. 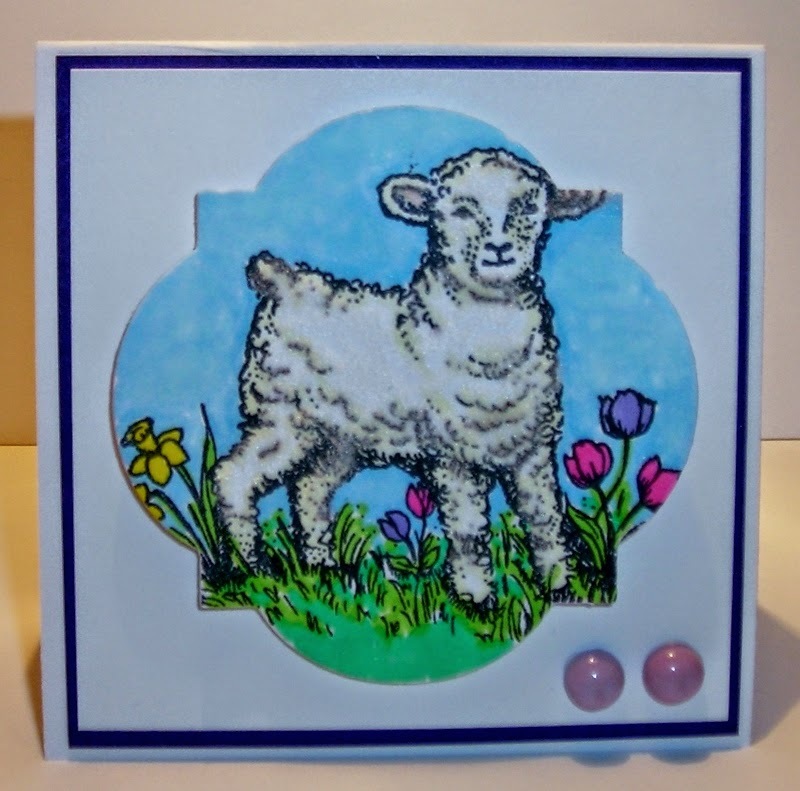 I added Fun Flock to this sweet little lamb. The enamel dots are "home-made." place on a baking sheet with parchment paper & baked at 450 degrees for 5- 20 minutes. 20 minutes or over will change the color of the beads. Don't forget to ventilate the room as it gets a little smelly!
" My soul will rejoice in the Lord & delight in His salvation." Now, to announce the winner's of my challenge! A big "Thank You" to all those that played along! 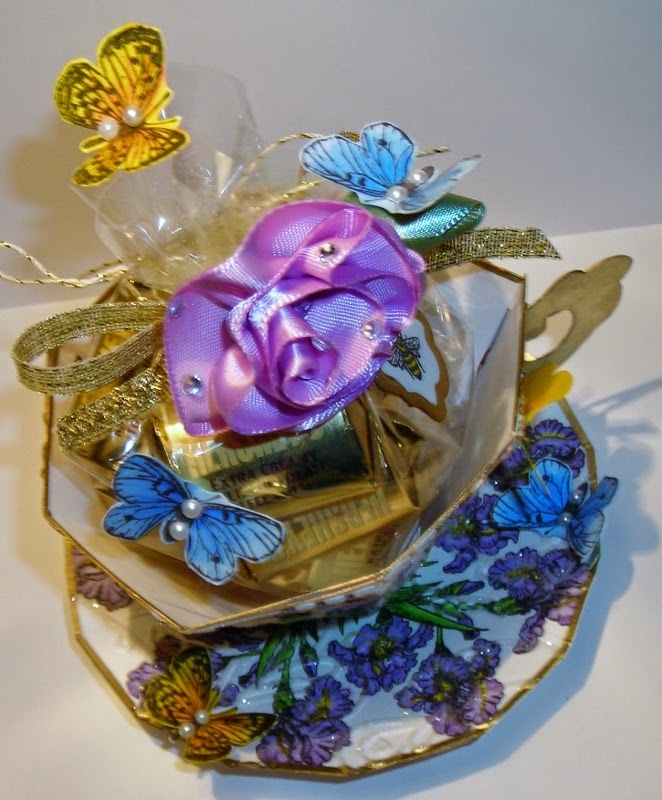 I know Jan Marie enjoyed receiving all of the lovely creations that came her way. but Jan Marie is very much appreciative of your thoughtfulness, as am I! Ladies, please contact me with your addresses so I can send out your prizes! I didn't mention this before but, I have gone over 100 posts & with this post, I have posted 122 posts! including you Becky for playing along! I'll get your prizes right out to you! (I am waiting for something to arrive in the mail to finish off my surprises for you! See you back here later this week for a sweet Easter recipe that kids young & old will love! Oh, how I love Easter! My friend Gracie nominated me for the "Liebster Award!" I in return, am to nominate 5 others who have blogs with under 300 followers. Hope you take the time to visit each of these ladies. I know they'll love to see you! My dear friend of many years! This dear sweet lady is such an encourager & fellow paper crafter! 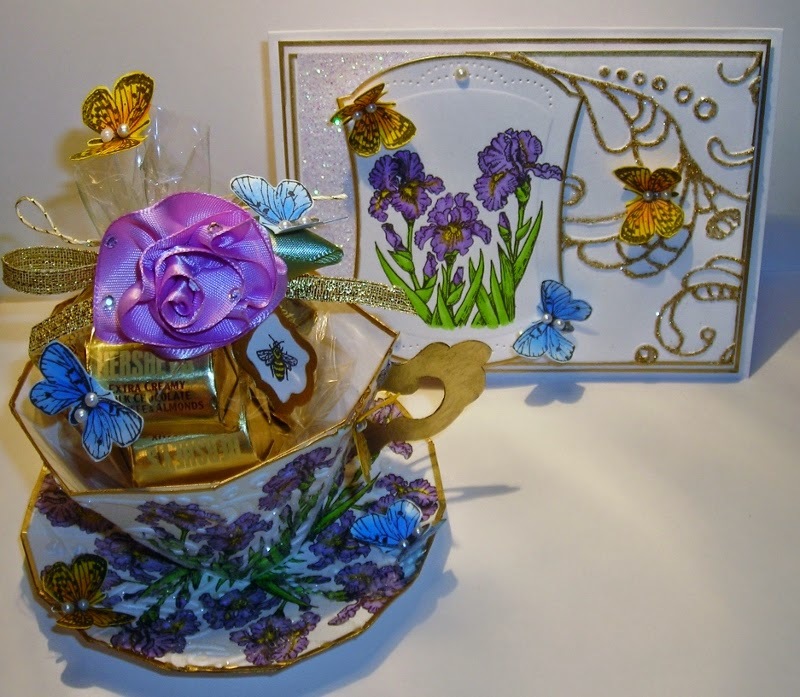 Linda travels the world & shares her knowledge of Tea; I do love tea! A "new" follower & a very nice lady & fellow paper crafter! 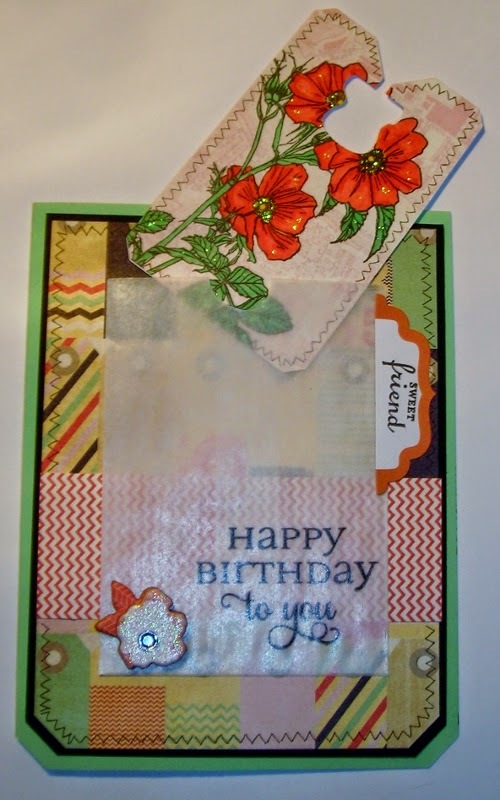 An "old" follower & a very nice lady & fellow paper crafter! 1.) 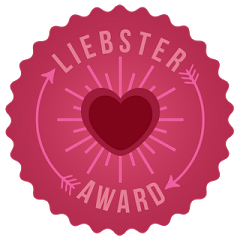 Leave a "Thank You" for the Liebster Blog Award persenter on your blog & answer 11 questions they presented. 2.) Link back to your presenters blog. 3.) Copy & Paste the pink Liebster Logo to your blog. 4.) Nominate 5 blogs to receive the award who have less than 300 followers & create a list of 11 new questions for them. 5.) Inform them of their nomination. 1.) 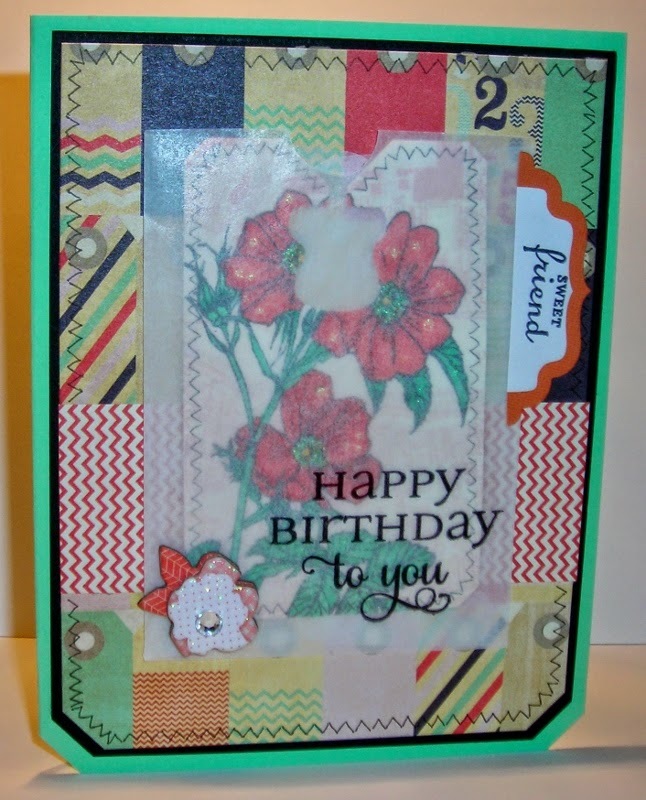 When did you start stamping? I was introduced to stamping about 17 years ago, & bought a few stamps, but I didn't really dive into it until 2007. She's the lady to see for wonderful life-like paper flowers! 5.) Favorite way to color? That is hard to say, it depends on the effect I want & I enjoy trying new things! If I had to choose, water coloring. 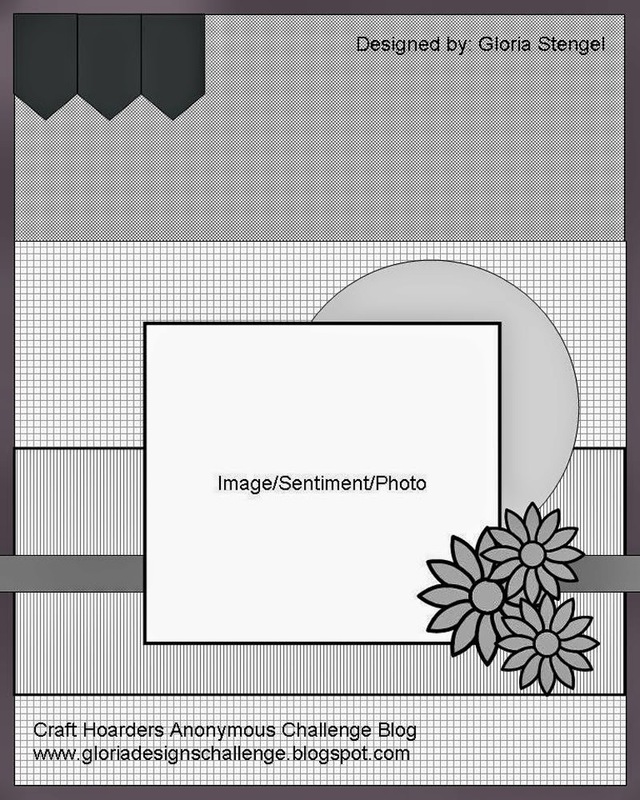 My Tea Cup Template that you can see on my blog. Dust, once you clean it up, it just reappears! Home, we're home-bodies & just enjoying being home. The day I began my life as "Mrs. Green!" 11.) 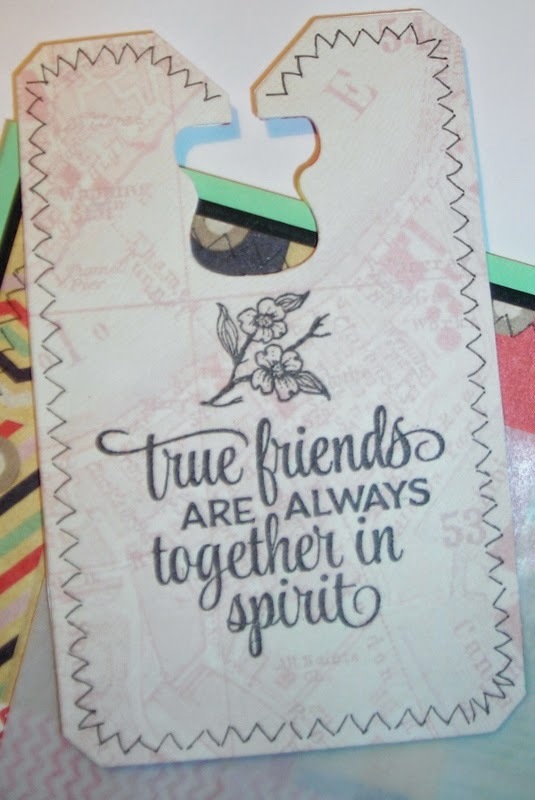 Other Hobbies besides stamping? I used to like to cook till I took up stamping. & Decorating our home; as an "artist,"
I have to have pretty surroundings. 1.) What is your passion? 2.) When did you discover your passion? 4.) Are you an extrovert or an introvert? 5.) What is your favorite color? 6.) What is your favorite style of dress? 7.) 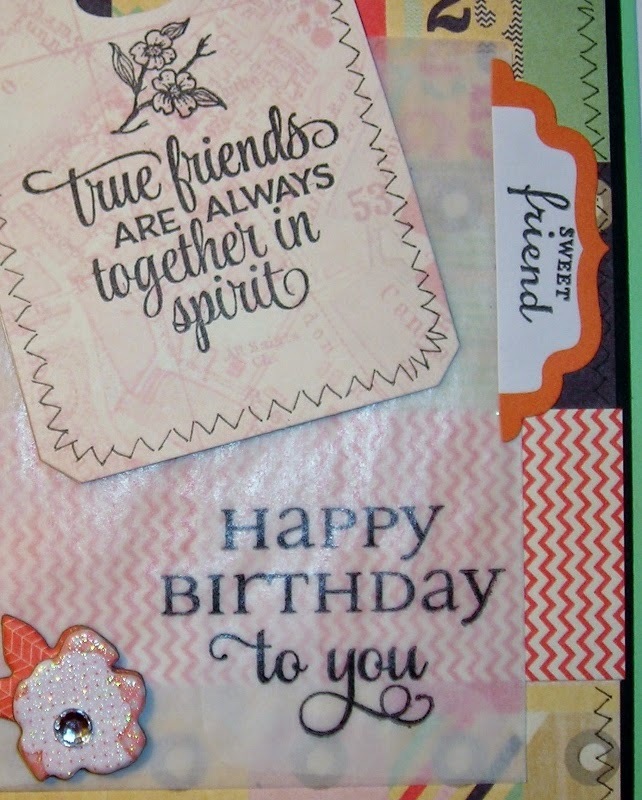 What is your style in paper crafting? or in writing for my writer friend? or in Tea Time for my Tea friend? 8.) What is your favorite season? 9.) What is your favorite CD or Music group? 10.) Who was your favorite teacher & why? Thank you Gracie! It was such a surprise to get your e-mail & find out about the Liebster Award! I am delighted to have been chosen by you & to participate in this fun chain. Hope everyone enjoys this fun event! First of all, I want to remind you about my challenge & give-away! 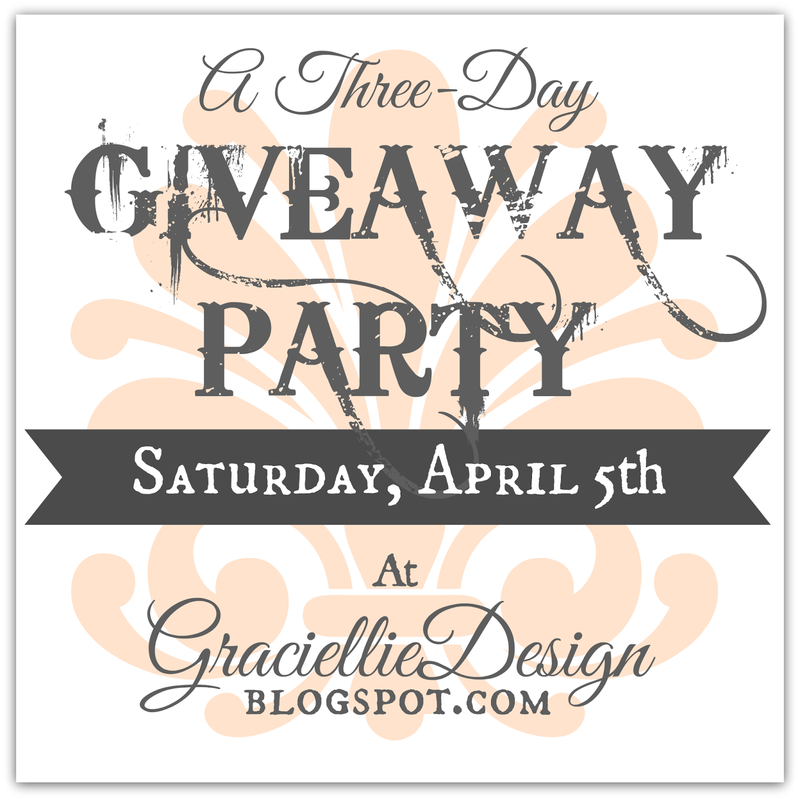 so you'll want to jump right in quickly so you don't miss out on the give-away! I'll be watching for your entries! Today, I have something special to share with you! Remember me telling you about a box I mailed off last week, to a sweet lady? Just a little background... I began following someone's blog quite awhile back & I was blessed that she noticed my comments & contacted me! She sent me one of her fabulous cards (which sits on my desk now), & even some goodies! So, I thought I would surprise her in return! She loves color & butterflies! So, I wanted to incorporate these things into my project. Of course, I had to use Flourishes Images! Take a peek at what I made her! I wanted a white on white look, but it's hard for me to leave it like that, LOL. I just have to add gold with my Gold Krylon Pen. Gold just makes things elegant. 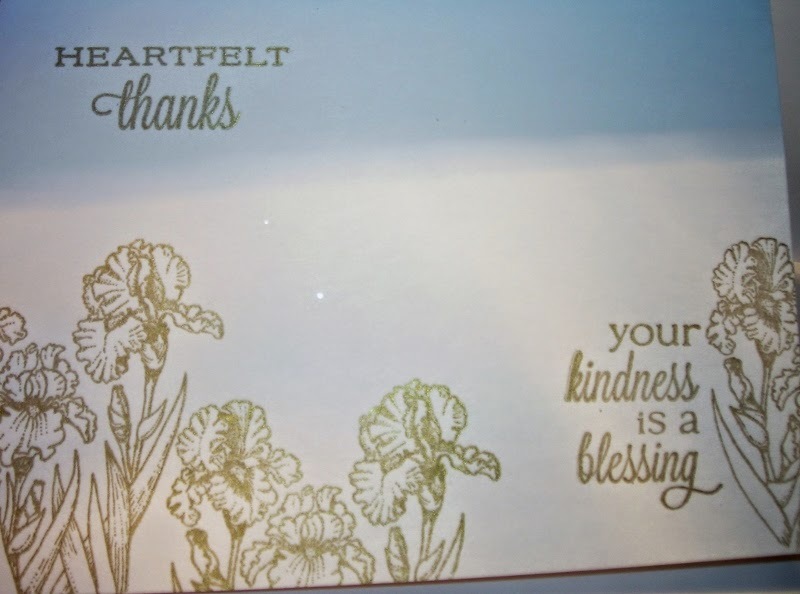 Flourishes- Classic Hourglass Template Die. Coloring my images with Prisma Color Markers (Alcohol). The inside, sentiment is done with Flourishes- Picking Wildflowers. 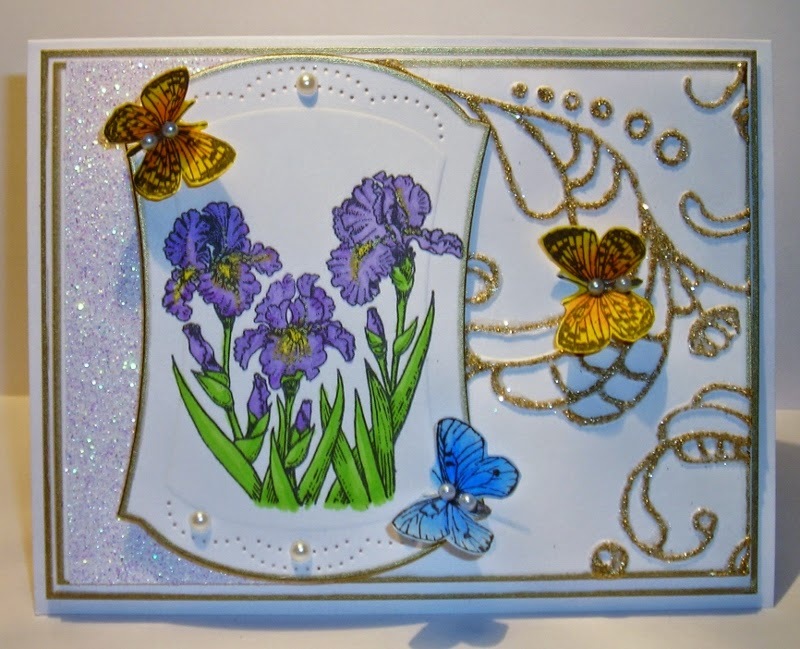 I used SU- Elegant Lines Embossing Folder, MS- Crystal Fine Glitter & Best Occasions- Glitter Paper Pack, along with Paper Studio & Kaiser Craft pearls. Hershey's Extra Creamy Milk Chocolate with Toffee & Almonds! Notice the little dew drops on the rosette? Those are Paper Studio Rhinestones. 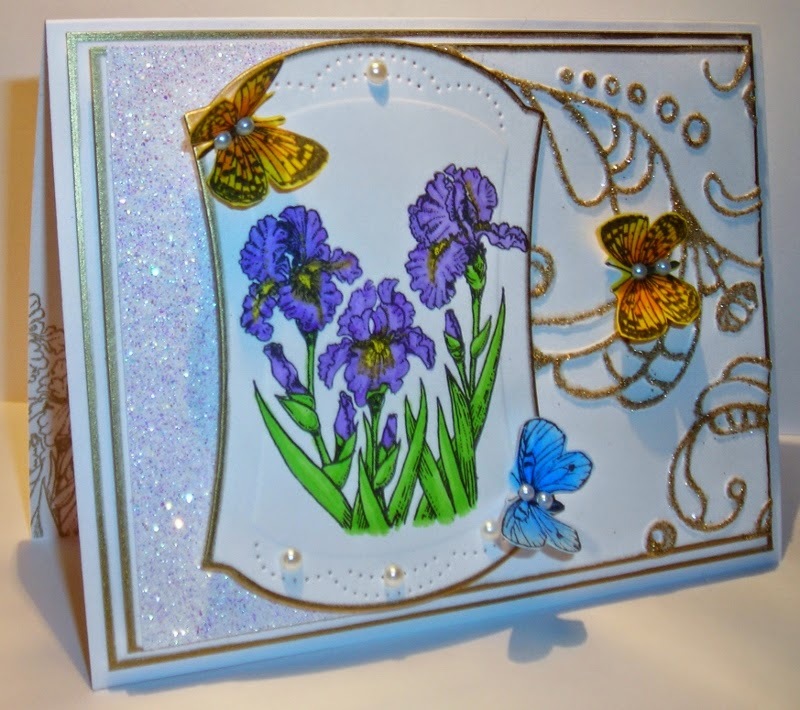 Flourishes- Friendship & Flowers, both are Sam Pickard's designs. Just attached with glue dots. 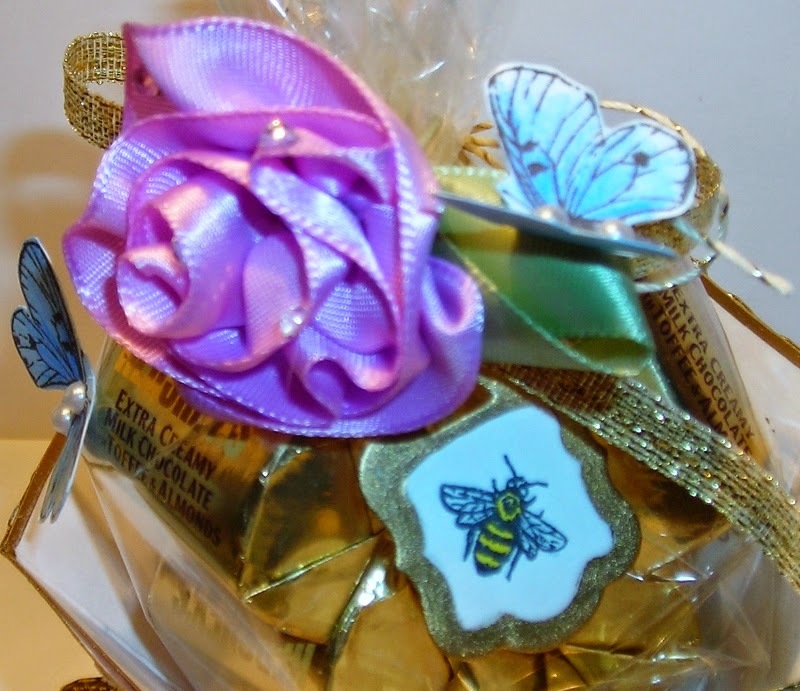 I love the butterfly on the cellophane bag, because it looks like it's actually flying! 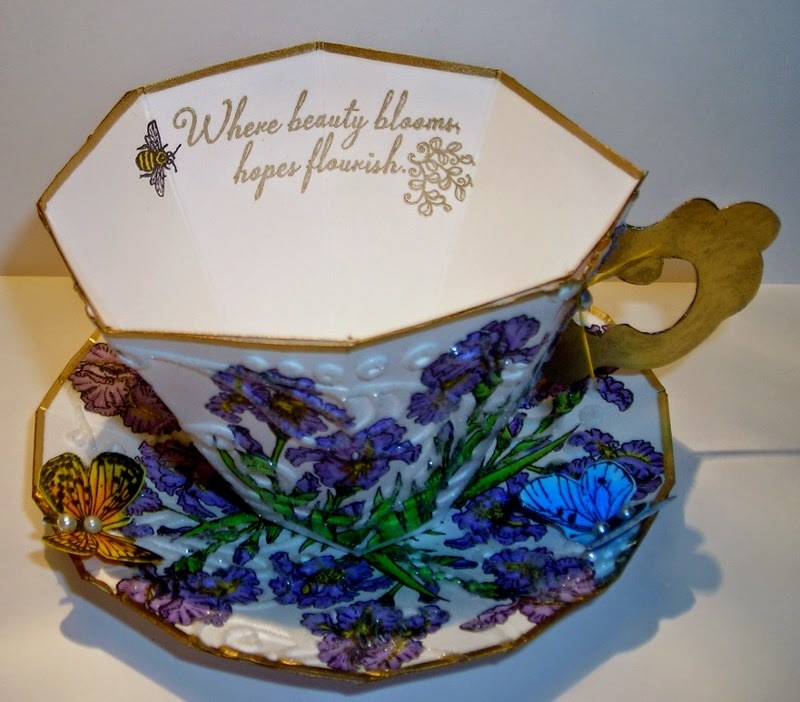 Here you can see the inside sentiment for the Tea Cup. I used Flourishes-Old Tea Rose again, by Sam Pickard. 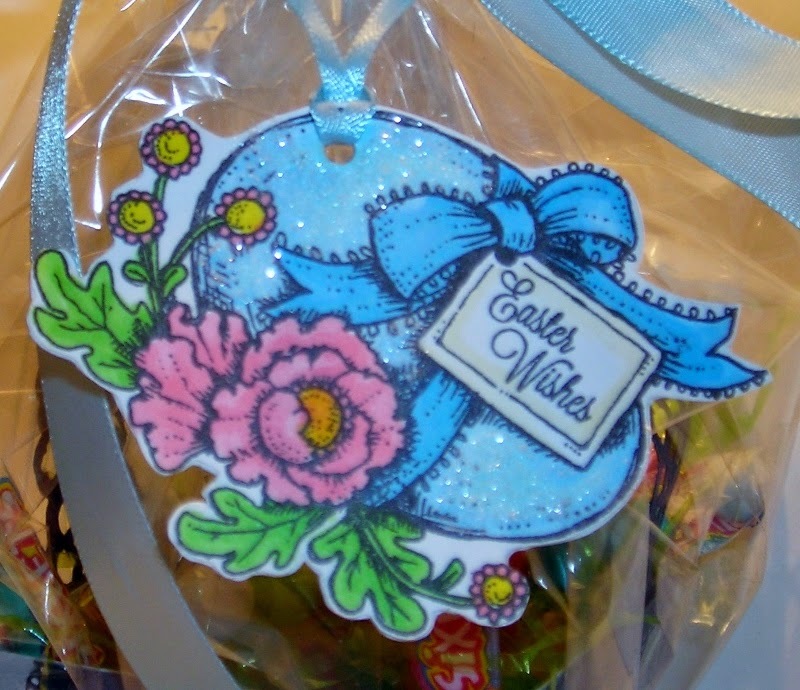 Flourishes- Tiny Flowers & Tags. 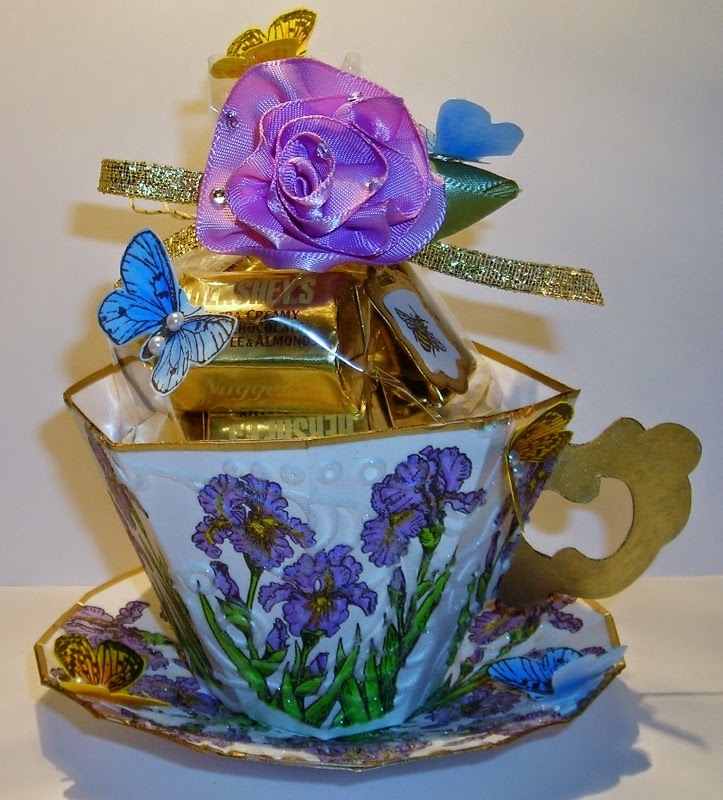 Here is the Gift Combo, "An Elegant Spring!" Ending today at 6 p.m. I can't wait till the butterflies start appearing here! Mark Your Calenders, IT'S A PARTY! Just wanted to pop in here & let you know of something going on at my friends blog! "HIDING IN MY CRAFT ROOM!" SO MANY THINGS GOOD HAPPENING! Gracie wants you all to know, you're welcome to come & help her celebrate! Have you ever thought you were caught up & then discover, huh-oh, you weren't? So, I went to work last night making a birthday card for a friend! Of course, using Flourishes images! 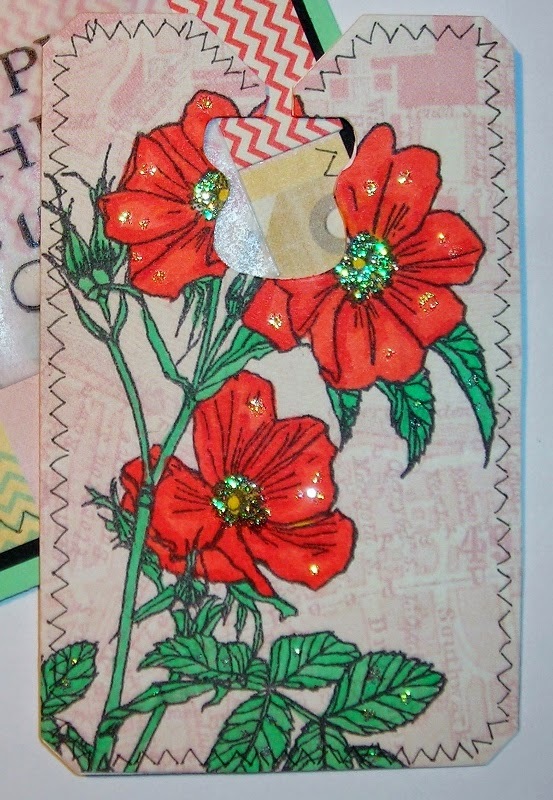 I chose to use Flourishes- Wild Roses. I believe this set is by Sam Pickard. I also decided it was time to use some paper crafting goodies some friends had sent me. So, I went to work. but mixing things up a bit, is when you get pleasantly surprised. 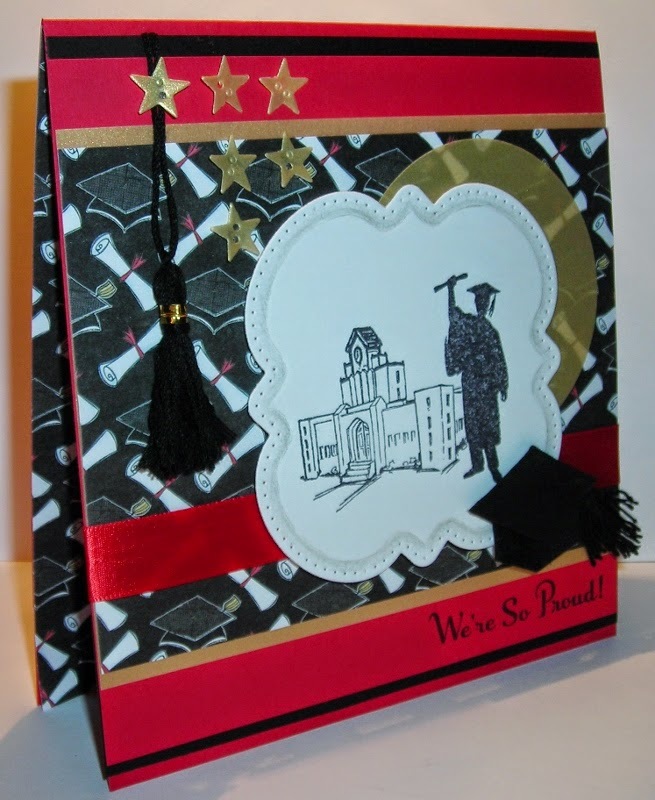 The designer papers are by Fancy Pants Designs- Trend Setter. that I attached to the front of my card. to add sparkle for the center of the flowers & dew drops. I also used EK Success Millennium Collection Pens for the faux stitching. I couldn't leave it blank. 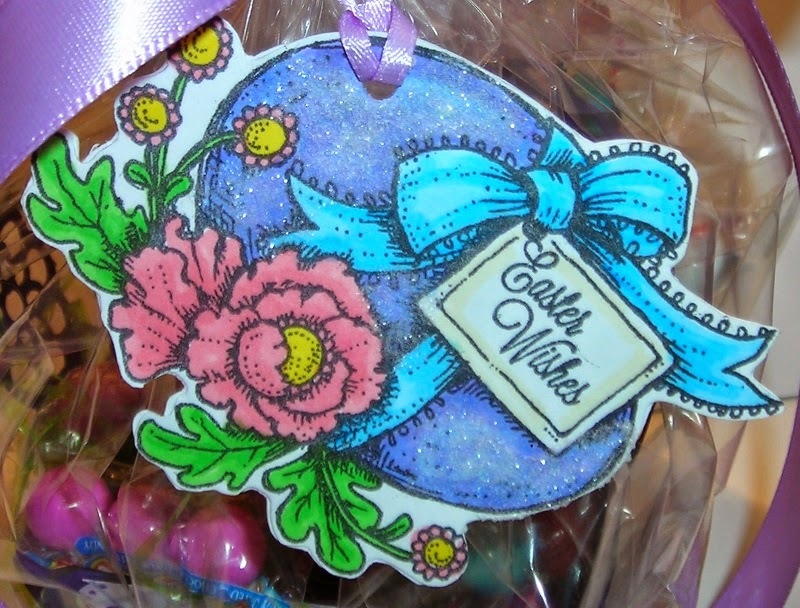 The little flower is from Flourishes- Tiny Flowers & Tags. And some more of the faux stitching. & the sentiment used there is by Flourishes- Angelic Love. 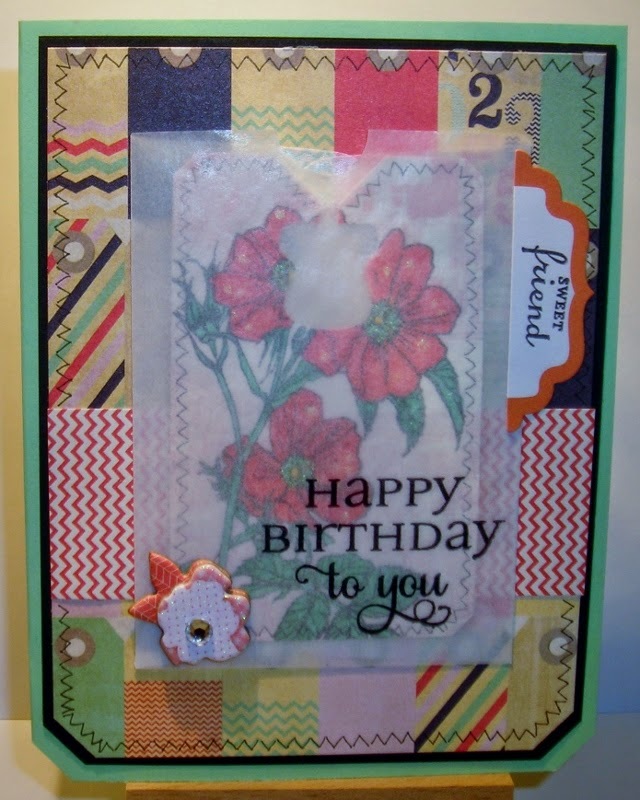 My little chipboard flower is by Bo Bunny. 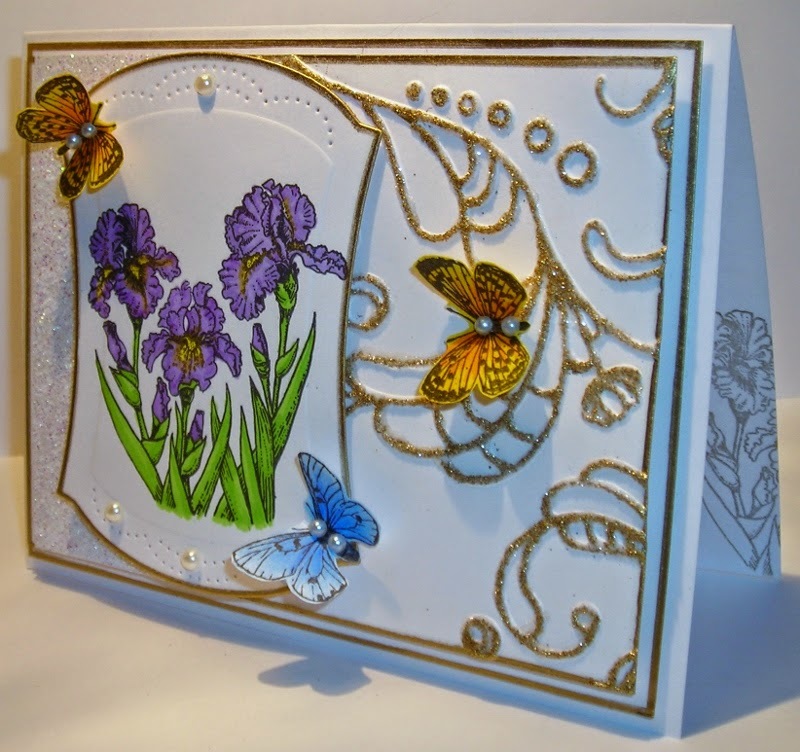 just stamping Flourishes-Wild Roses, by Sam Pickard again. Leaving enough room to write a personal note. 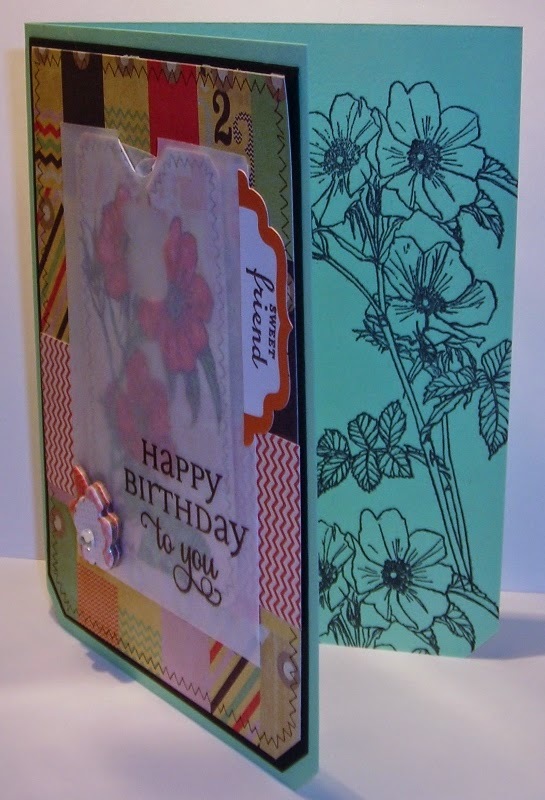 More faux stitching on the front of the card & SU- Corner Punch for the bottom corners. About my challenge & giveaway, you still have time to participate. (Thank You ladies who have already sent Jan Marie cards, regardless of my give-away.